This psalm asks two main questions. First, it asks Who can approach God in His holiness? Is there anyone who can stand in God's presence without fear? The Psalmist answers his own question. If you have clean hands and a pure heart, then you're cool. You can approach God in his holiness without fear of condemnation. On the contrary, once you arrive, you can expect a blessing. 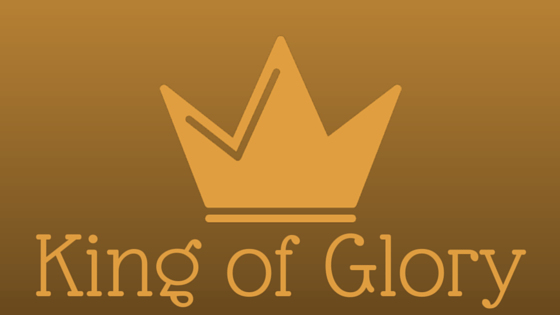 The second question is Who is this King of Glory? Can anyone truly know God? Sure, he reveals himself to us through his word (specifically, The Word Made Flesh), but by definition there is always more to learn about God. Here, God is revealed as a warrior, He is a conquering Hero. He is willing and ready to destroy his enemy. He is aggressive and glorious. To borrow a thought from C. S. Lewis: our God is good but by no means is he safe. He is wild and he is the king. It is always important to note activity when studying scripture. Notice the contrast in the amount of activity between the first and second half of this Psalm. Notice how there is no activity in the first half when the Psalmist talks of ascending to the holy place. Oh, he describes the perfect person but doesn't say that one exists. He doesn't claim the authority of clean hands and a pure heart. He simply points out that those qualities are needed. His silence screams out the sad reality: nobody is able to ascend to God on their own merit. But oh! The King of Glory is active. He descends and enters in through our gates and doors and in doing so lifts them up. He has come to conquer our hearts and receive the hero's spoils. He has come to flex his muscle and bridge the gap between himself and his subjects. He reclaims that which verse one already declares is his own. This has already been done through the work of Christ. We can now ask two more questions: Death, where is your sting? and Grave, where is your victory? (1 Corinthians 15:55) We know our King of Glory is clutching the victory in his mighty fist. Soon, we will see Philippians 2:10 come to fruition, when at the name of Jesus every knee will bow, of those who are in heaven and on earth and under the earth.